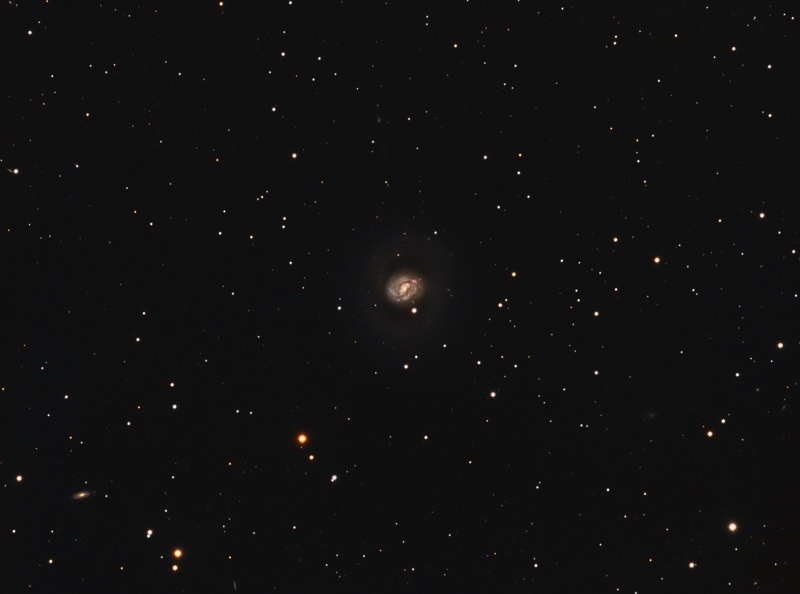 M77 is a very bright galaxy in the constellation Cetus which is roughly 47 million light years distant. The galaxy is also approx. 170,000 light year in diameter. It sports a very bright nucleus and dim outer spiral arms. This image, taken with a 6 1/2 inch refractor, is a total of 6hrs and 45min of exposure time.